HONOLULU, Oct. 12, 2017 /PRNewswire/ -- Hawaiian Holdings, Inc. (NASDAQ: HA) (the "Company"), parent company of Hawaiian Airlines, Inc. ("Hawaiian"), announced today that it will initiate a quarterly cash dividend. The Company's Board of Directors declared a 12 cents per share dividend to be paid on November 30, 2017 to all shareholders of record as of November 17, 2017. "Today's announcement underscores our commitment to building long-term shareholder value," said Hawaiian Airlines President and CEO Mark Dunkerley. "This dividend program reflects our confidence in the strength of our business, future growth potential, and continued free cash flow generation. Hawaiian's strong financial results have allowed us to grow the business profitably while strengthening our balance sheet. The decision to initiate a quarterly dividend is the natural next step to increase returns to our shareholders." Over the last several years, Hawaiian has steadily grown and diversified revenue while improving earnings and generating free cash flow, which was used to invest in the business and pay down debt. The dividend will be in addition to the $100 million share repurchase program announced in April 2017. As of the end of the third quarter 2017, Hawaiian has repurchased approximately $50.5 million in shares. Since 2015, Hawaiian has returned more than $218 million to investors while simultaneously paying down debt and cutting its leverage ratio from 4.2 in 2014 to 1.9 as of June 2017. "We are fundamentally a stronger company today than we were just a few years ago," said Executive Vice President and Chief Financial Officer Shannon Okinaka. "Today's announcement is part of our disciplined approach to capital deployment that will balance continued investment in our business with a sustained return to shareholders." Mark Dunkerley, President and Chief Executive Officer, and Shannon Okinaka, Executive Vice President and Chief Financial Officer, will host a special investor update presentation at 10:30am Hawaii time / 4:30pm Eastern time today to discuss this announcement. 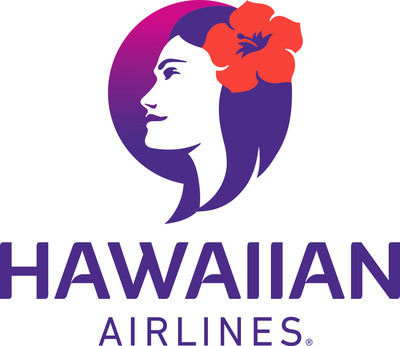 The webcast will be open to all interested investors through the Investor Relations section of Hawaiian's website at HawaiianAirlines.com. For those who are not able to listen to the live webcast, a copy of the presentation materials will be available on Hawaiian's website. This press release contains forward-looking statements that reflect the Company's current views with respect to certain current and future events and financial performance including but not limited to the Company's expectations regarding the Company's ability to make quarterly payment of the dividends in the future, and the Company's confidence in its future performance and its capital allocation determinations. These forward-looking statements are and will be, as the case may be, subject to many risks, uncertainties and assumptions that may cause future results, events and plans to be materially different than those express or implied in these forward-looking statements. These risks and uncertainties include, without limitation, the Company's ability to continue to generate sufficient cash flow to support the payment of a quarterly dividend, economic volatility, the price and availability of aircraft fuel, fluctuations in demand for transportation in the markets in which the Company operates, the Company's dependence on tourist travel, changes in the Company's future capital needs, foreign currency exchange rate fluctuations, and the Company's ability to implement its growth strategy. The Company undertakes no obligation to publicly update or revise any forward-looking statements to reflect events or circumstances that may arise after the date hereof even if experience or future changes make it clear that any projected results expressed or implied herein will not be realized. Additional information on risk factors that could potentially affect the Company's operations and financial results may be found in the Company's Annual Report on Form 10-K for the fiscal year ended December 31, 2016, and subsequent filings with the Securities Exchange Commission. Hawaiian®, the world's most punctual airline as reported by OAG, has led all U.S. carriers in on-time performance for each of the past 13 years (2004-2016) as reported by the U.S. Department of Transportation. Consumer surveys by Condé Nast Traveler and Travel + Leisure have ranked Hawaiian among the highest of all domestic airlines serving Hawai'i. Now in its 88th year of continuous service, Hawaiian is Hawai'i's biggest and longest-serving airline. Hawaiian offers non-stop service to Hawai'i from more U.S. gateway cities (11) than any other airline, along with service from Japan, South Korea, China, Australia, New Zealand, American Samoa and Tahiti. Hawaiian also provides approximately 170 jet flights daily between the Hawaiian Islands, with a total of more than 250 daily flights system-wide.